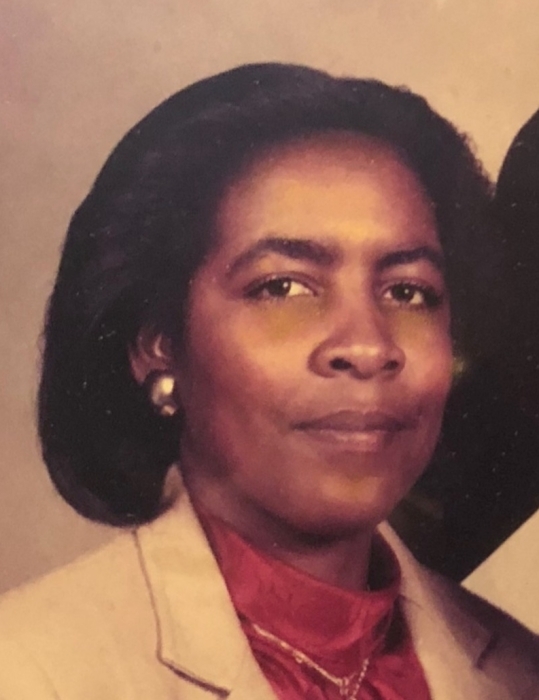 Mrs. Sundra Lewis, of Saint Pauls NC passed away on July 27, 2018. Funeral : Friday August 03, 2018 at Cedar Grove Missionary Baptist Church, St. Pauls N.C.
Reverend C. J. Ross, Officiating. Burial: Cedar Grove Missionary Baptist Church Cemetery, St. Pauls NC. She met Claude in 1977 in Queens, New York and was united in holy matrimony in 1986. After relocating to Saint Pauls, North Carolina, she joined Cedar Grove Missionary Baptist Church. She remained faithful until her health failed in 2008. Two brothers preceded her in death: Herman Bright and Allen Bright. She leaves to cherish her memories: her husband of thirty-two years, Claude Lewis, Jr., her step daughter, Gwendolyn Lewis of Tarboro, North Carolina; a step son, Claude William Lewis of New York, New York; five grandchildren, LaToya Lewis, Darez Lewis, of Tarboro, North carolina, Jaylen Lewis, Kameron Lewis, Christian Lewis of New York, New York; her mother, Eloise Jeffries Bright of Whiteville, North Carolina; two sisters, Joyce Bright of New York and Betty Ann Jeffries of Whiteville, North Carolina; one god-brother, Rodney Jeffries of Saint Albany, New York; a special uncle, James R. Jeffries (Marva) of Whiteville, North Carolina; three sisters-in-law, Mary McNair (Norfolk), Mamie Rozier (Scotty) of Saint Pauls, North Carolina and Gwendolyn Humphrey (Nelson) of Fort Hood, Texas; four brothers-in-law, Lynn Edwards (Mildred) of Lumberton, North Carolina, Dennis Lewis of Saint Pauls, North Carolina,, George Lewis of Cary, North Carolina and David Lewis of Saint Pauls, North Carolina; three aunts, Lillian Jeffries of New York, Ruth Jeffries of Whiteville, North Carolina and Maxine McCoy (Samuel) of Indianapolis, Indiana; a host of nieces, nephews, family and friends.